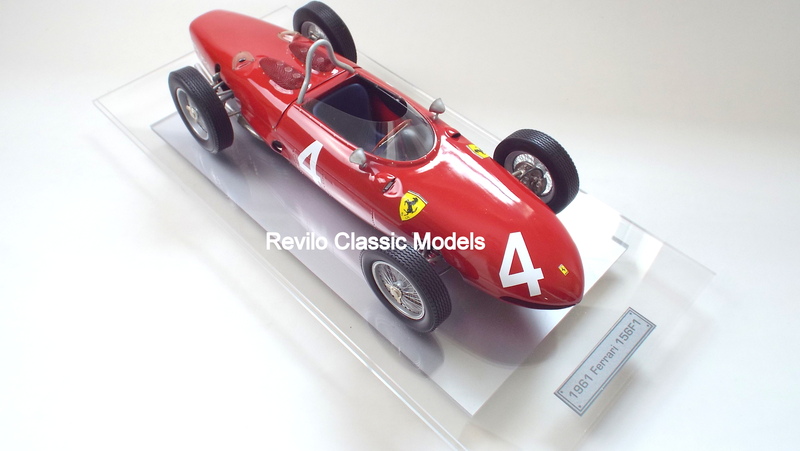 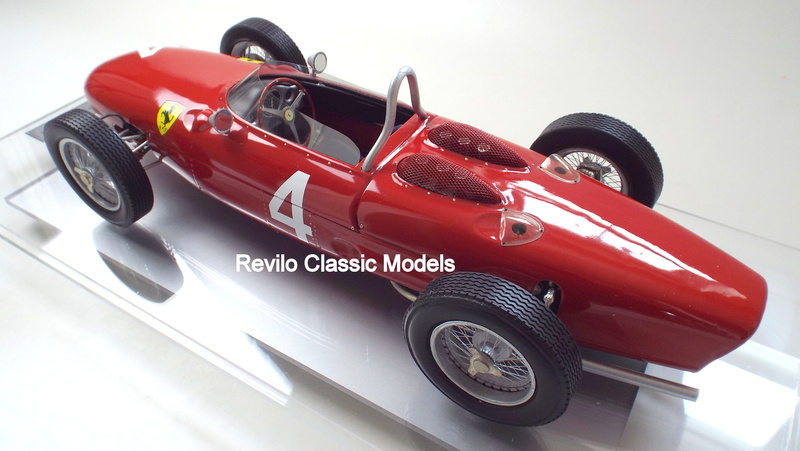 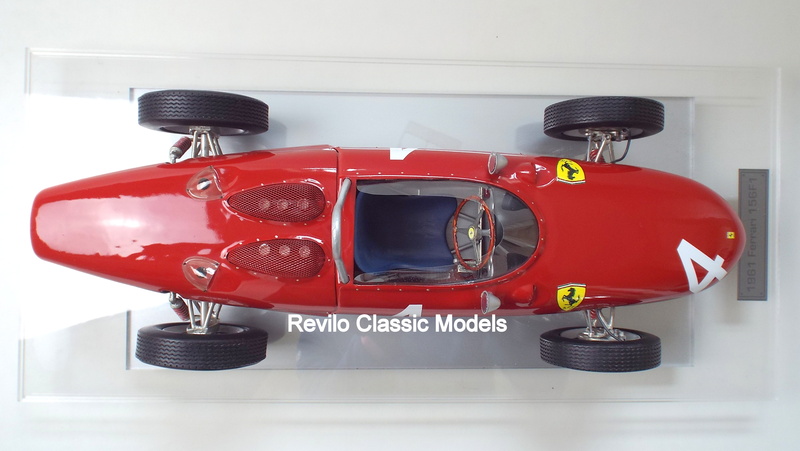 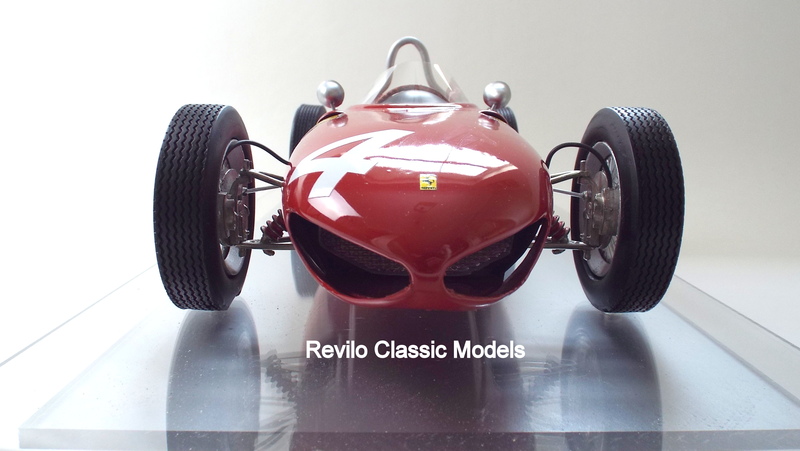 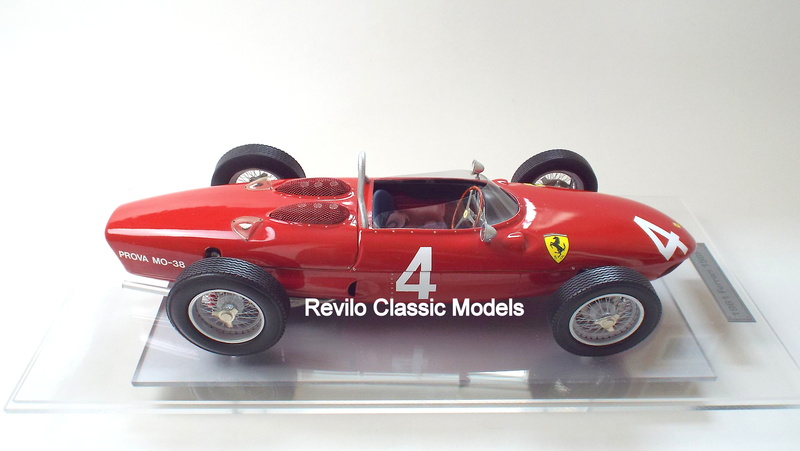 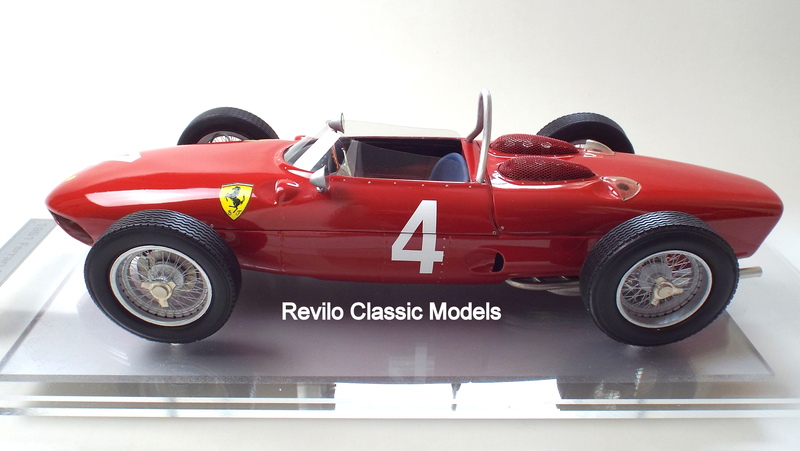 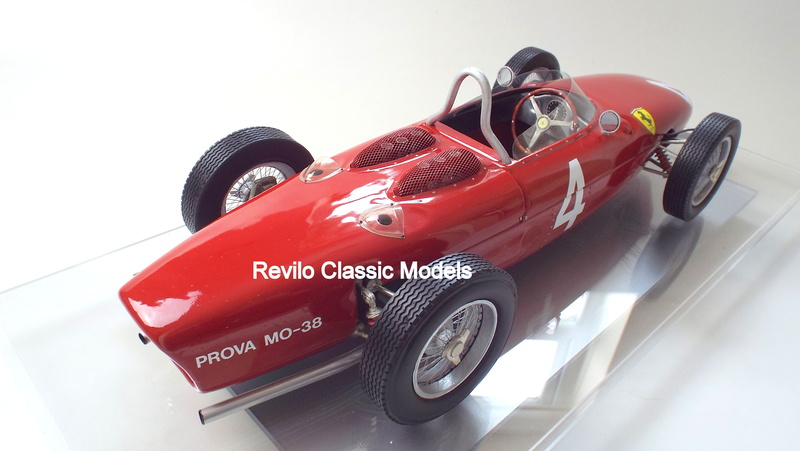 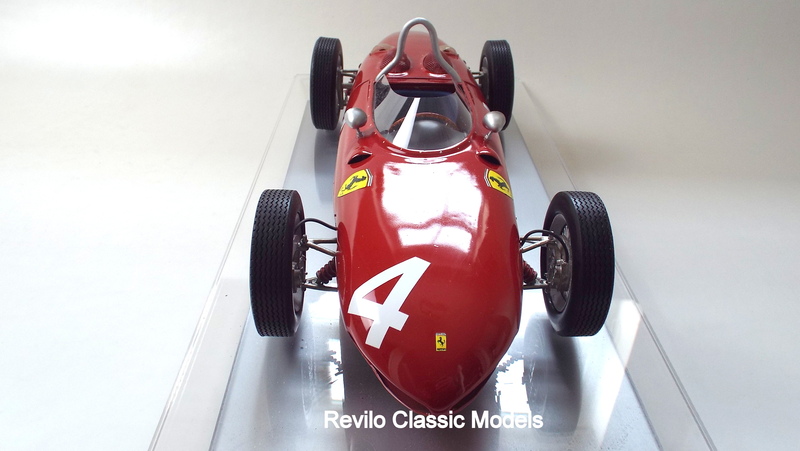 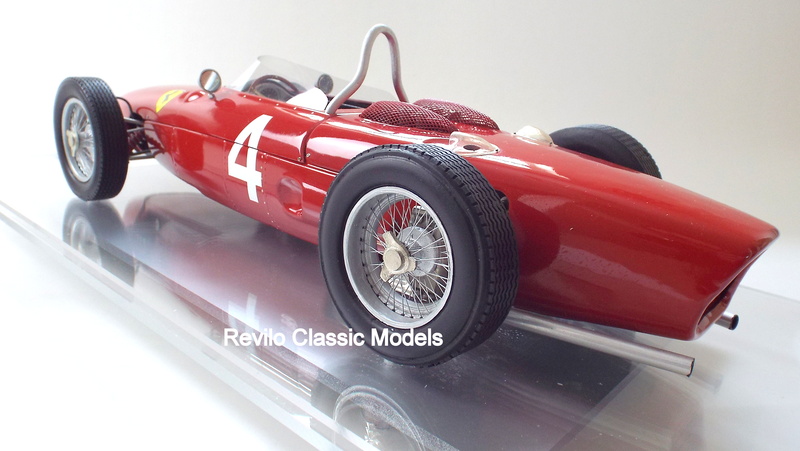 1961 Ferrari 156 Shark nose No.4, as driven by Phil Hill to the 1961 World Championship, handbuilt 1:8 scale model by Javan Smith. 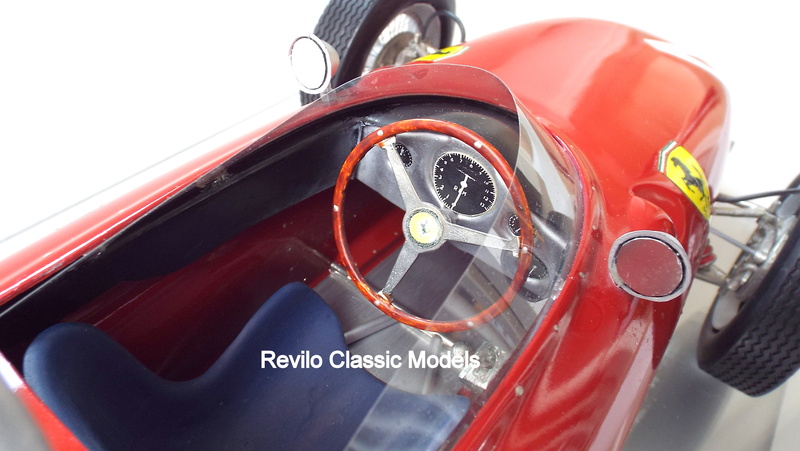 In stock now for immediate delivery. 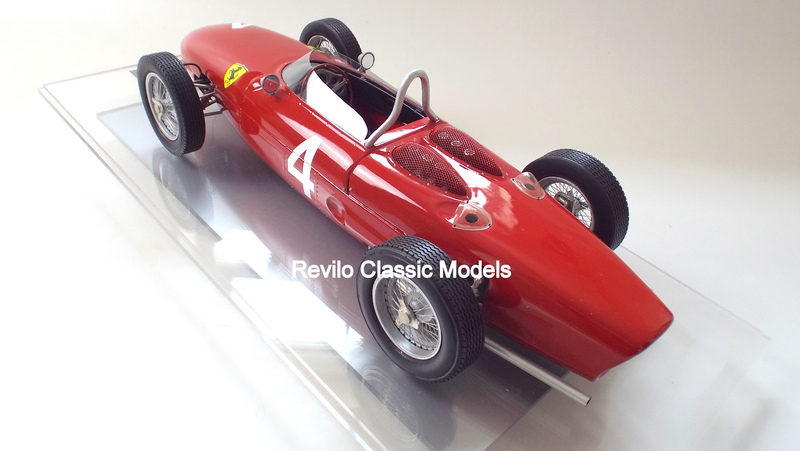 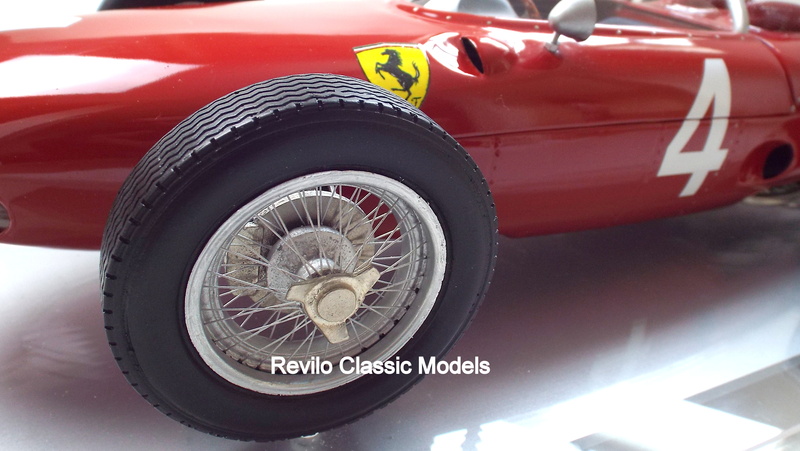 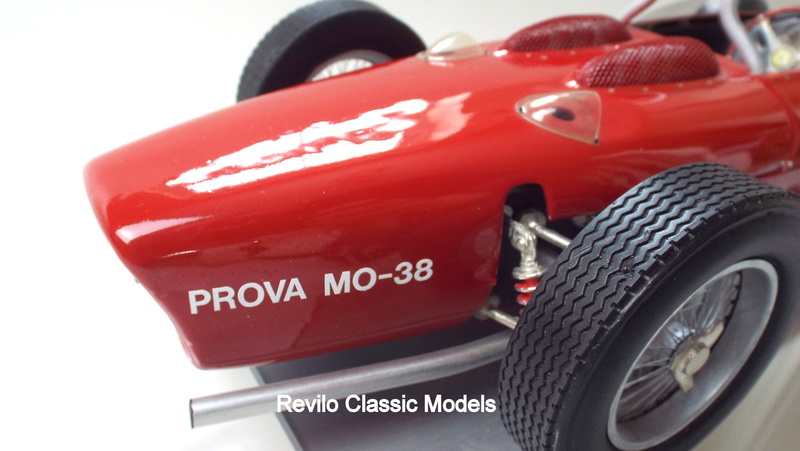 This is a pre-owned scratchbuilt 1:8th scale resin bodied model measuring approx. 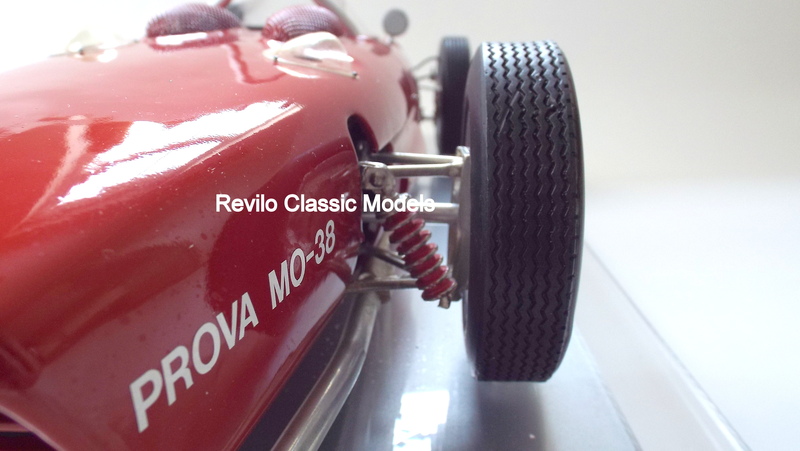 50cms plus the case and comes with alloy and pewter detailing to the suspension and delightful cockpit interior detailing. 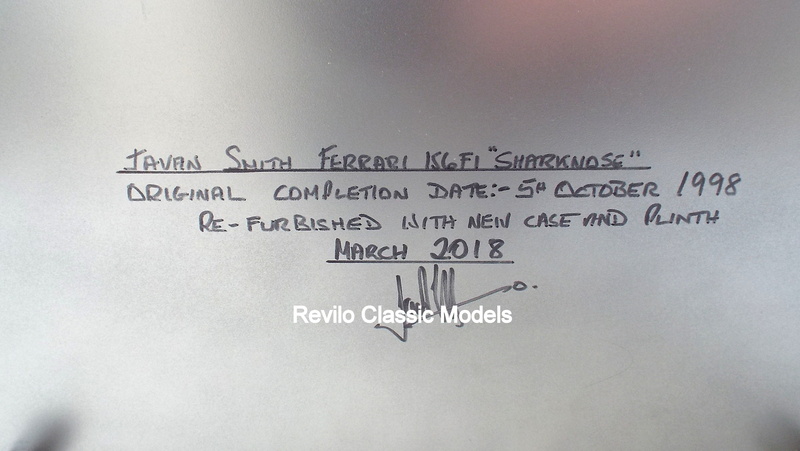 It has just arrived back from Javan Smith following refurbishement, including a new case. 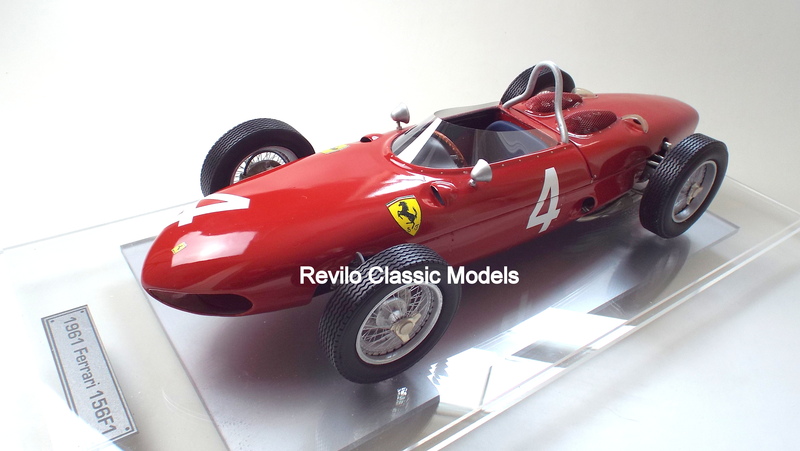 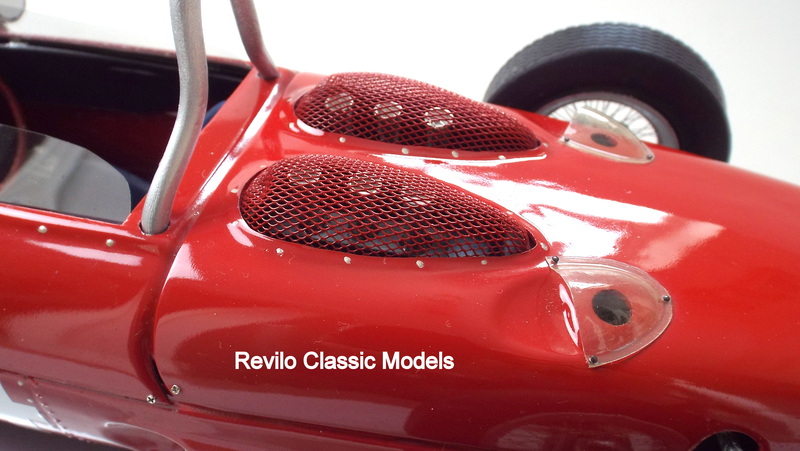 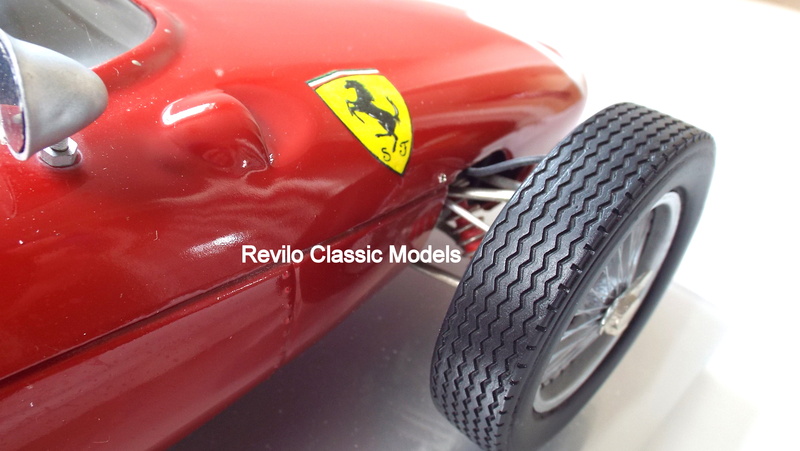 The model now looks in as new condition sitting on a perspex base and perspex cover, the underside of the base details the original build date and refurbishment date. 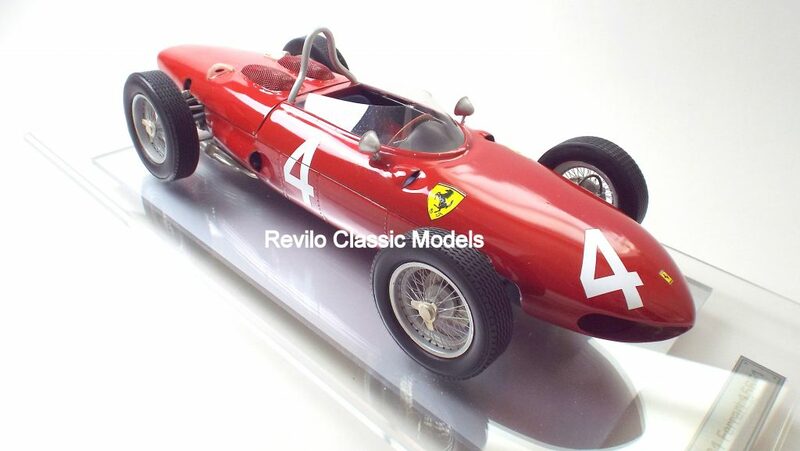 One of the best looking Grand Prix Ferrari’s ever made and a stunning addition to any Ferrari enthusiasts collection.